Just returned from 14 days in Mexico with 5,000+ images; a mix of island scenes, a Shellhouse, whale sharks, mermaids and cenotes. 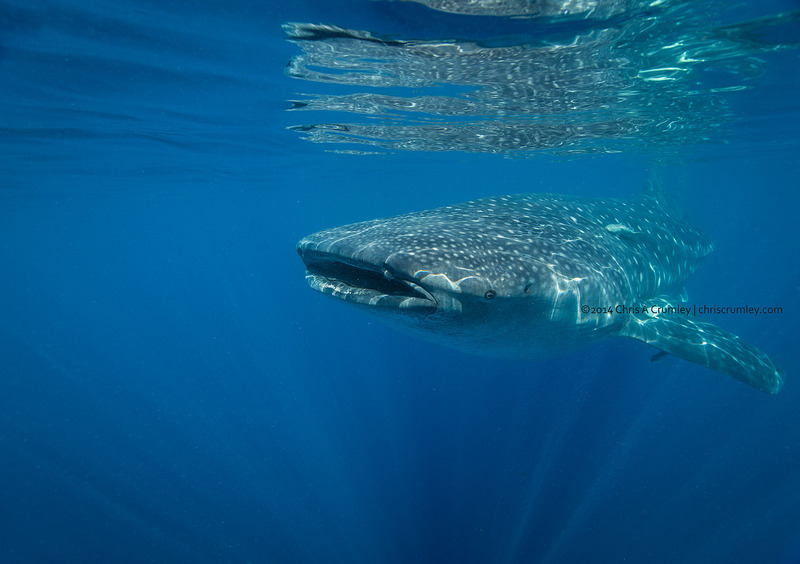 Interacting with whale sharks is very interesting, emotional and simple. They are majestic creatures. We leave the island at 6AM and about 45 minutes later we find typically scores of them clustered in a feeding area over about 120 (40m) of water. They filter feed on millions/billions of fish eggs the size of a pin head; slowing swimming at or near the surface with their mouth open taking in water and eggs. We simply slide into the water two-at-a-time on snorkel, move away from our boat and wait for them to come at or near us. Simple, easy, rewarding and non-invasive so long as we employ our personal and regulatory no-touch/no-harrass rules.